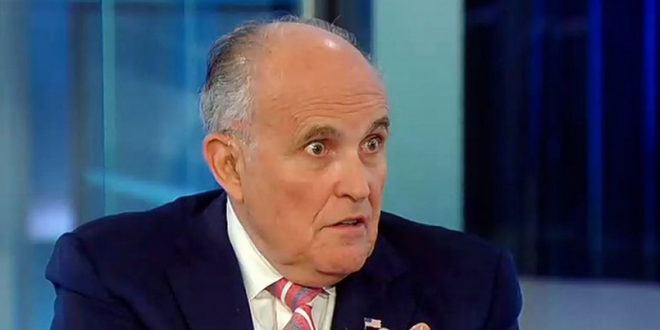 Giuliani: Trump Will Defy Any Subpoena From Mueller - Joe.My.God. It is possible that Mueller will subpoena Trump regarding his activities as president. But Rudy said he has reason to suspect he won’t: “I think that he would not win a legal battle if he did that, and I think it would consume months.” If Mueller does, the president’s view is clear: He will refuse to cooperate. Giuliani would only confirm two topics in Trump’s written responses: Junior’s Trump Tower meeting with Russians and the hacking of Hillary’s emails. More at the link.